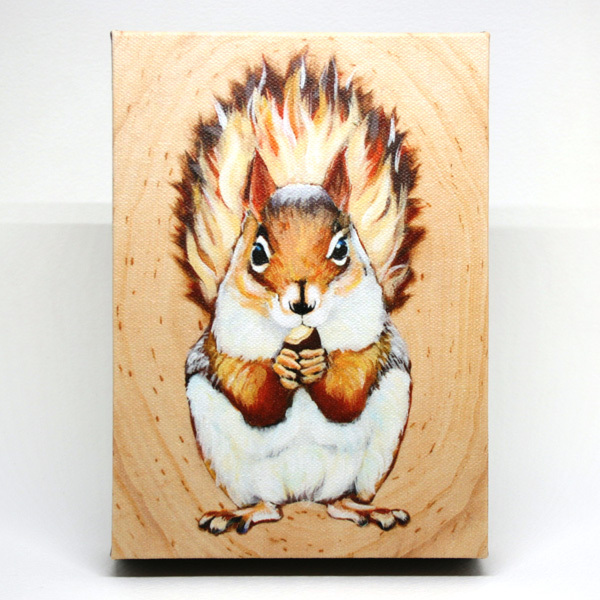 Get nutty with this little squirrel. The sides of his canvas are brown. He enjoys pine and walnuts.